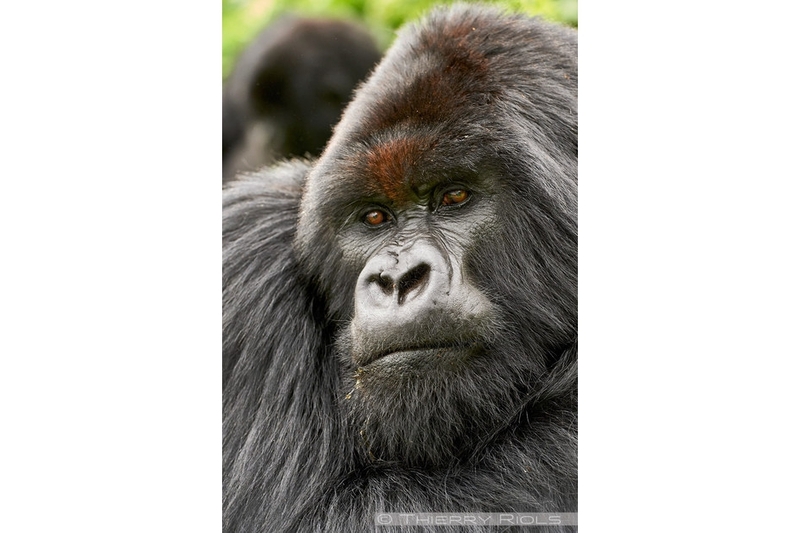 Mountain Gorillas - Gorilla beringei beringei - are the largest primates. 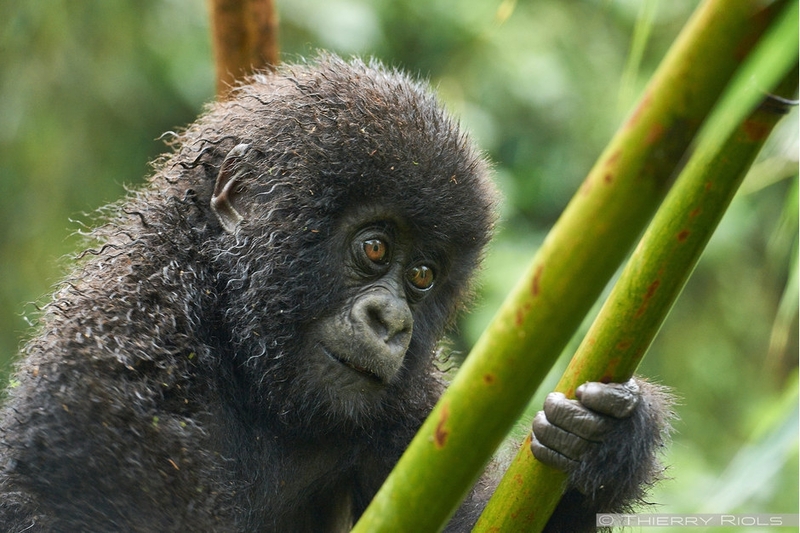 They live in the Great Lakes region between the DRC, Rwanda and Uganda, in the rain forest covering the slopes of ancient volcanoes between 2000 and 3600 m above sea level, they are all herbivores. 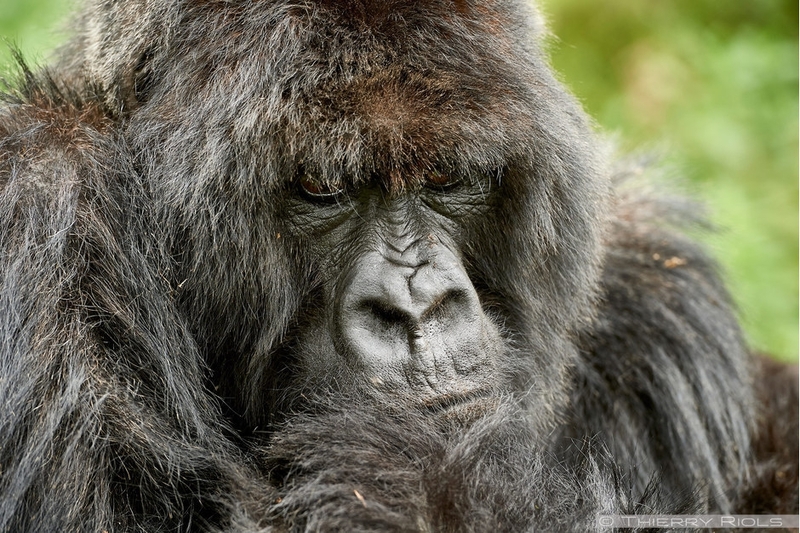 The dominant male or silverback can weigh up to 300 kg and 2m. 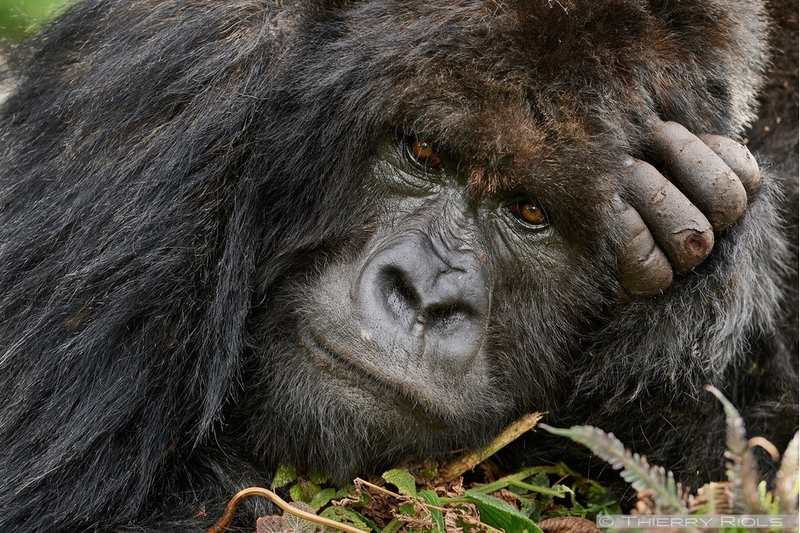 Impressive but peaceful and sociable, to meet him is a unique moment. 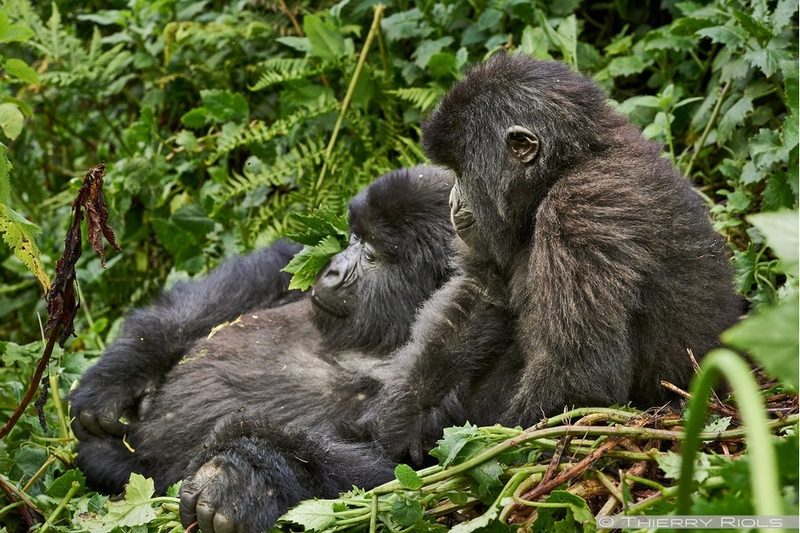 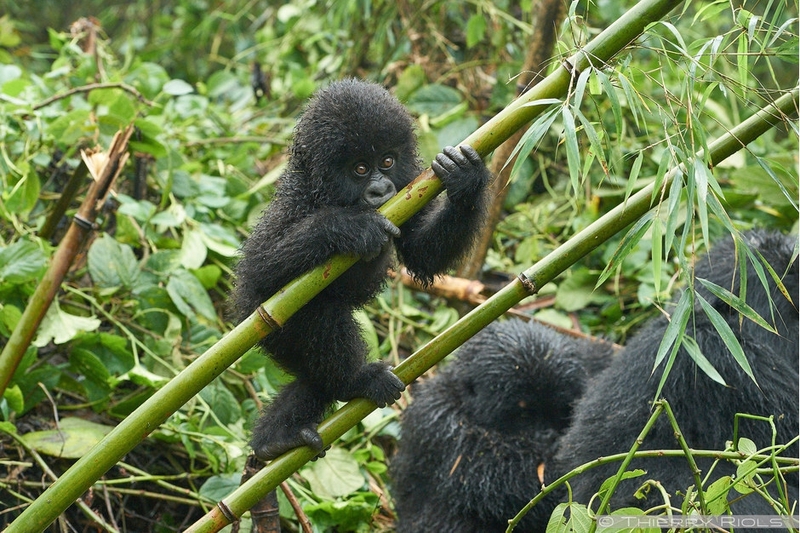 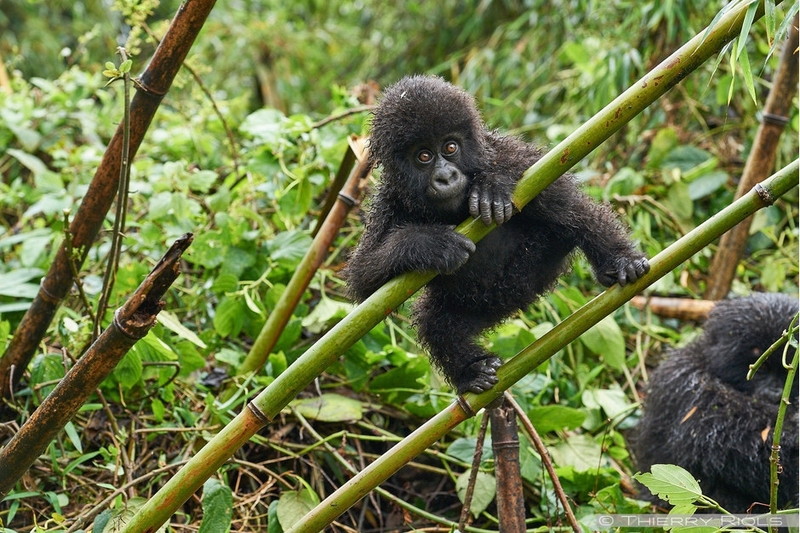 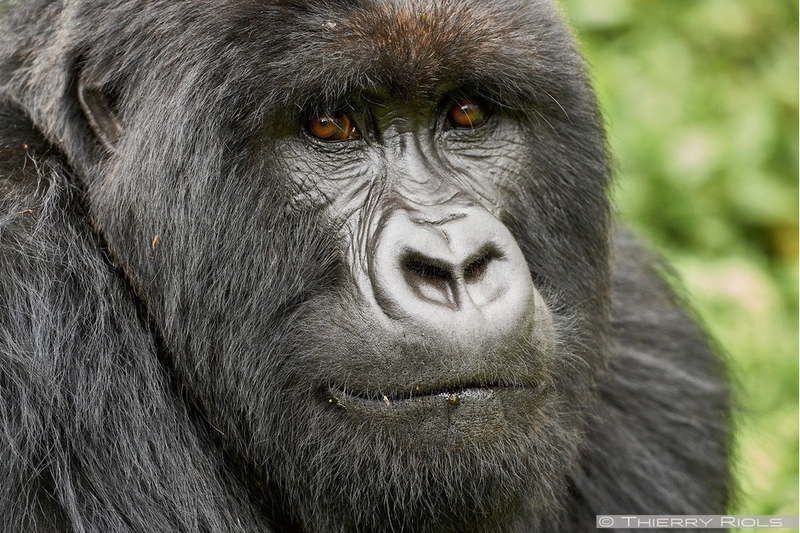 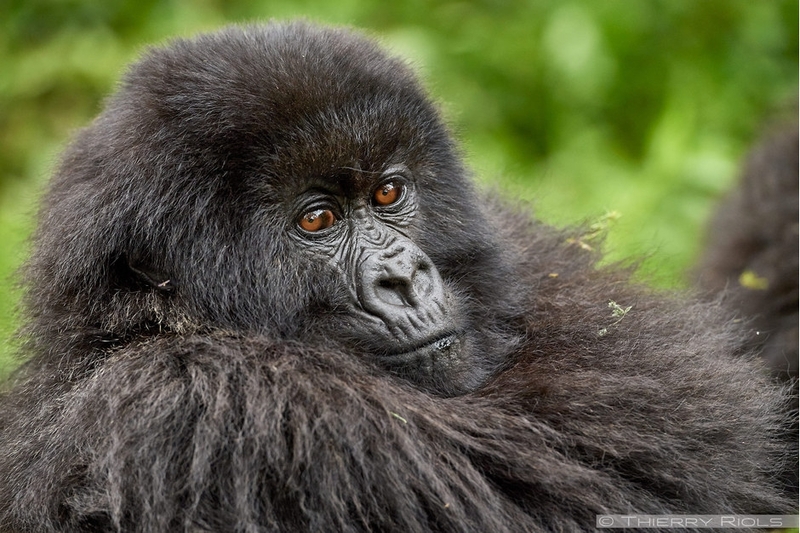 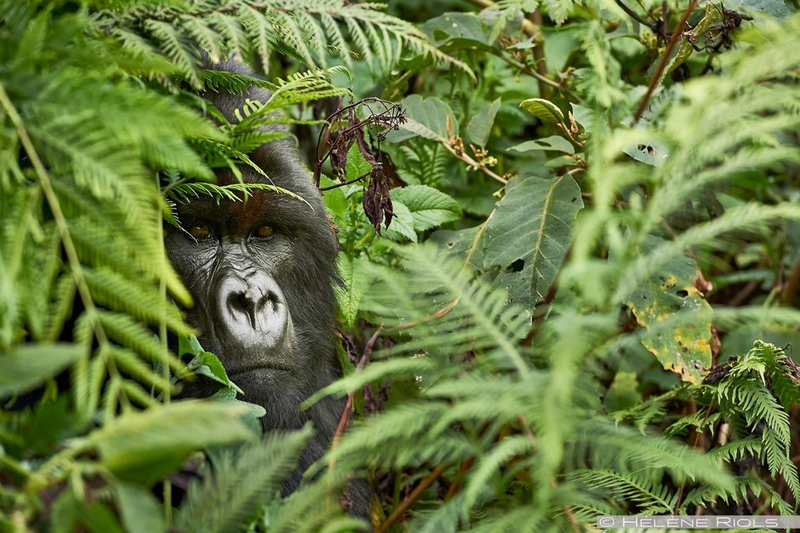 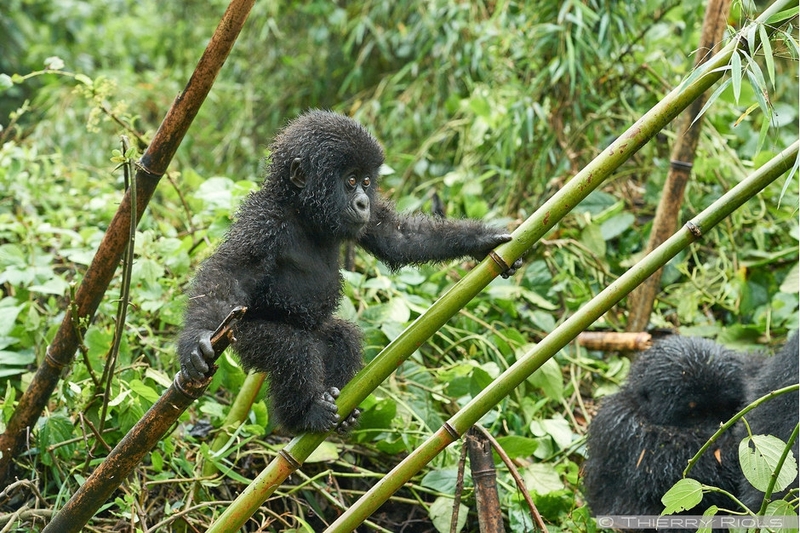 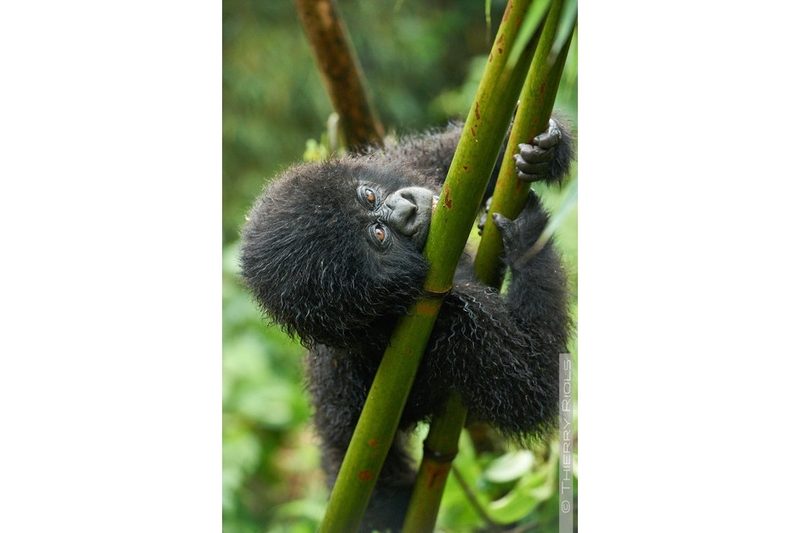 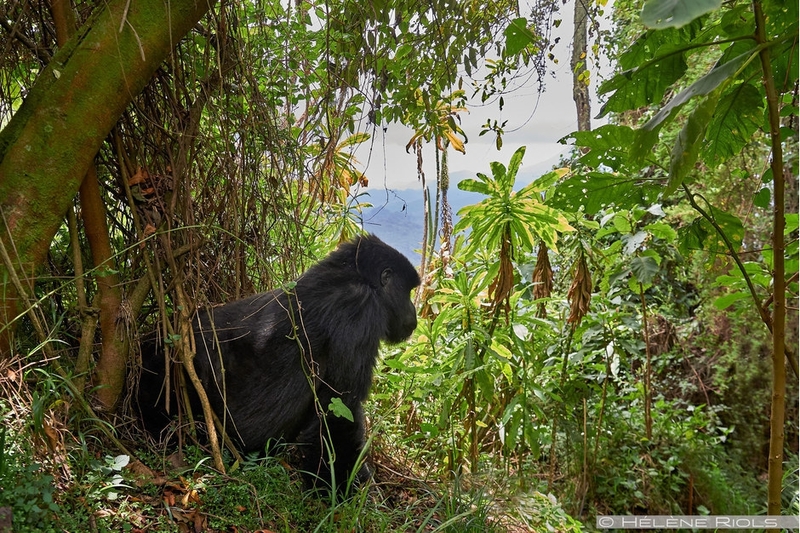 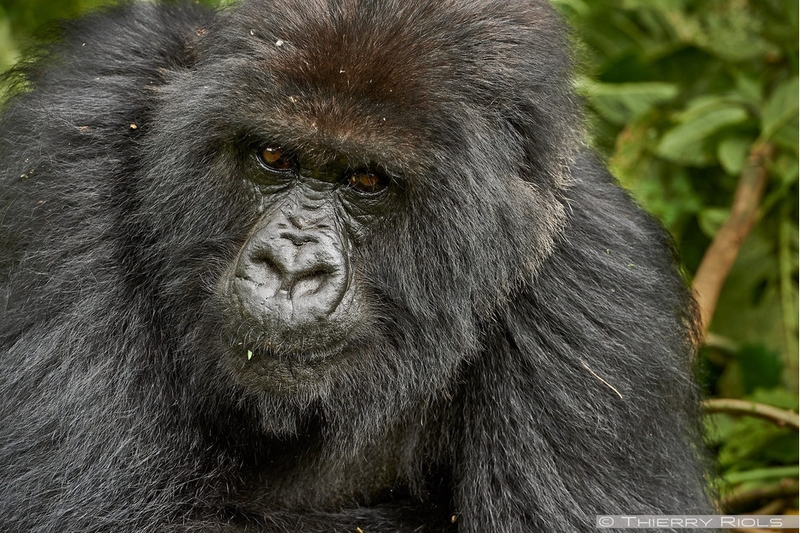 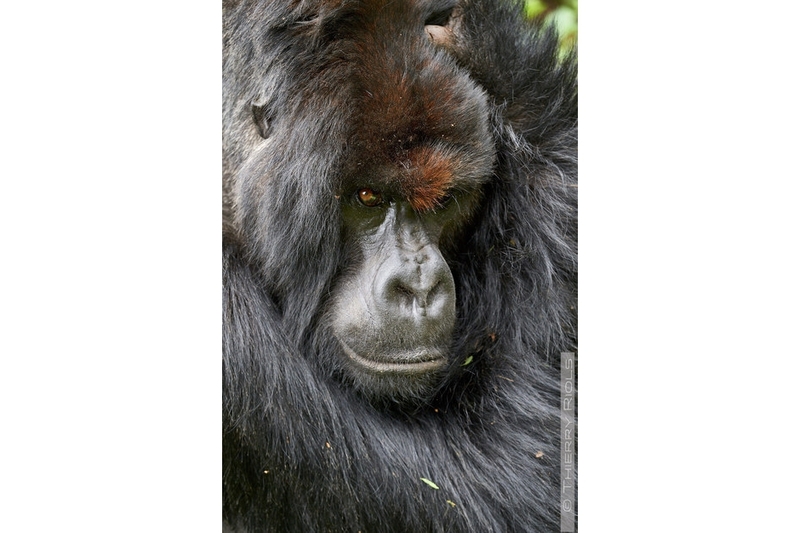 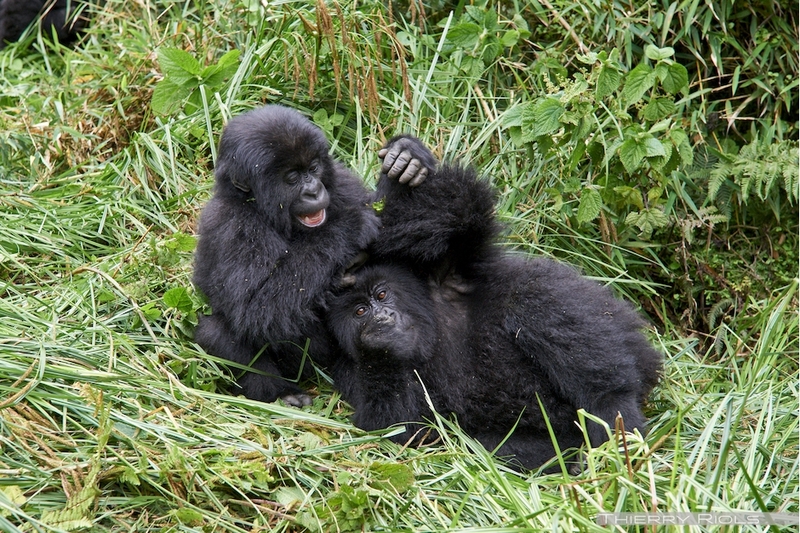 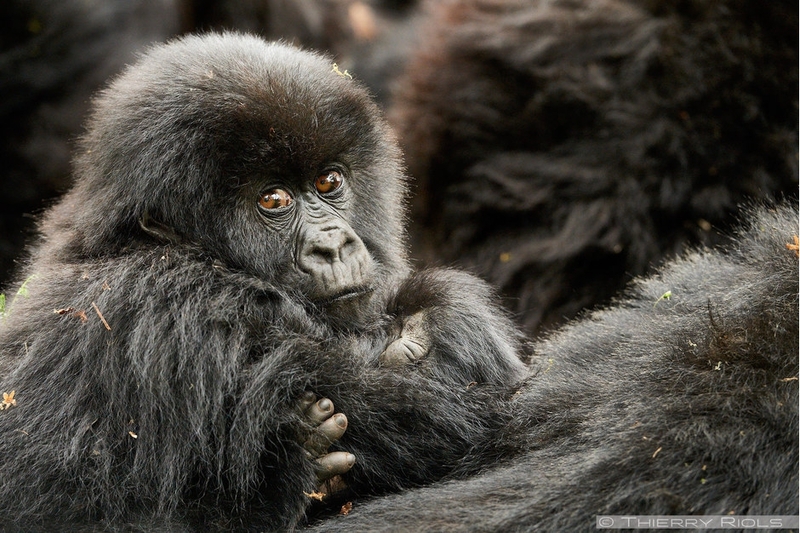 Heavily poached for years, there are about 885 mountain gorillas in 2014 to 3 countries. 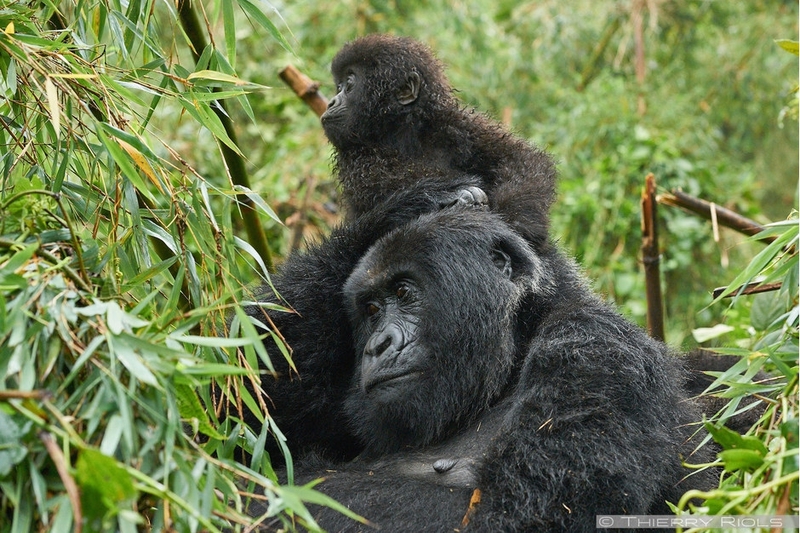 The population has increased since conservation efforts, but will we save mountain gorillas from extinction. 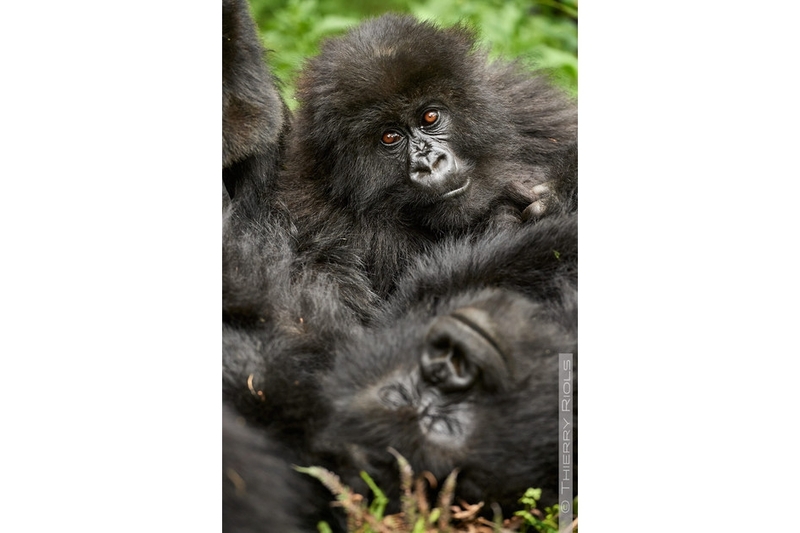 The images in this gallery are the result of many trips to Rwanda, in contact with these beautiful animals. 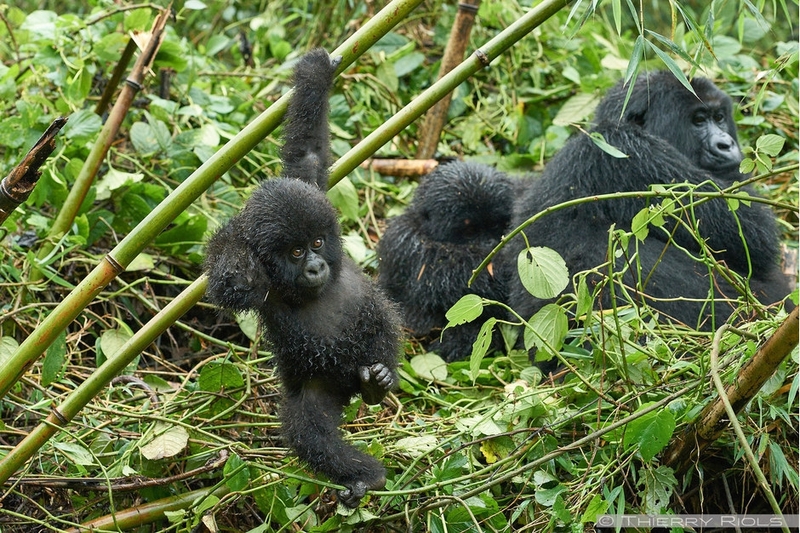 This is a testament to their present existence, the series newborn for 2 h discovered during our visit to Hirwa Group (April 2014) gives us hope.